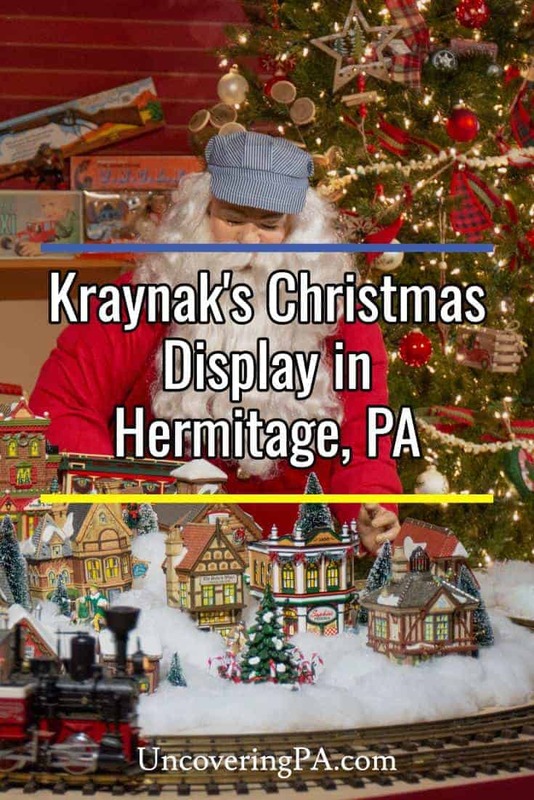 Ever since I published my first article about things to do in Pennsylvania at Christmas, I’ve had people telling me that I needed to visit Kraynak’s Christmas display in Hermitage. So, on a Christmastime visit to Pittsburgh, I decided to do just that. Kraynak’s is a home and garden store in northwestern Pennsylvania that has operated since 1949. 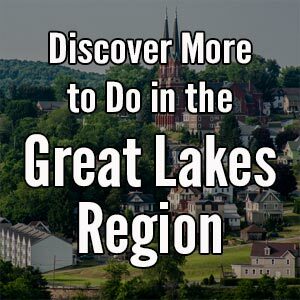 In addition to running a nursery, they also have a retail store that sells everything from children’s toys to hand-to-find candy and house plants. However, Kraynak’s really comes to life during the holiday season. Kraynak’s in Hermitage, PA, puts on a great Christmas display every year. 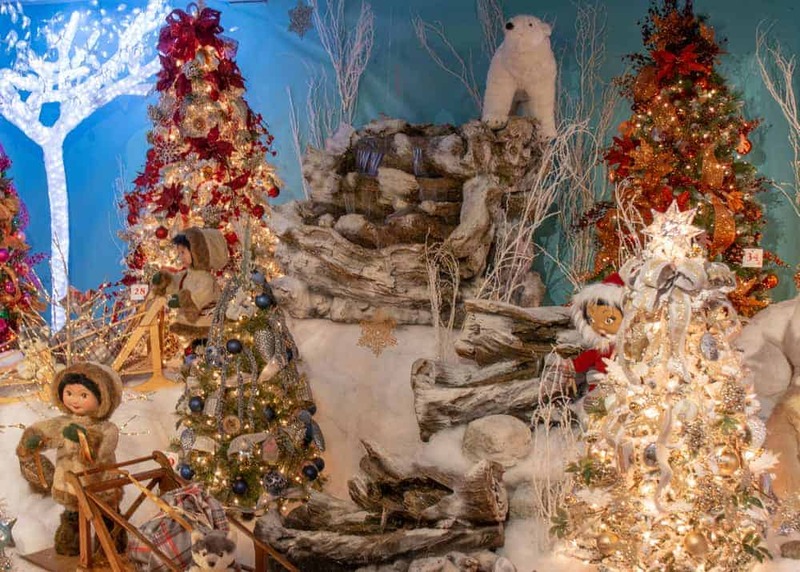 Every year from early September through the end of December, Kraynak’s sets up their very popular holiday display. 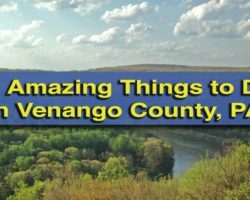 While the display changes every year, it has become a decades-old family tradition for many in Mercer County and the surrounding communities. 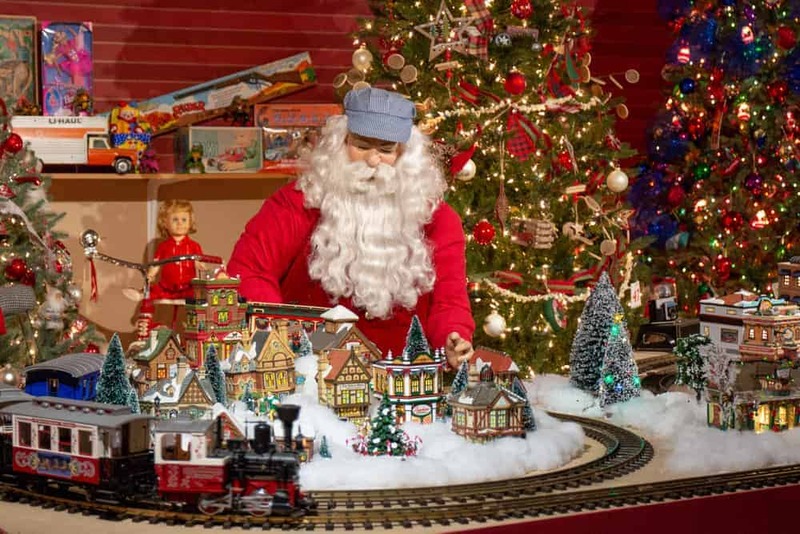 Kraynak’s Christmas display is located to the right of the store (from the main entrance) in the toy section. It’s a bit hidden behind displays, and took me a few minutes to find the entrance, so ask or look for the long line if you aren’t sure where to go. Many of the displays are quite colorful and whimsical. From the entrance, a 300 foot hallway allows visitors to see the many great displays here. 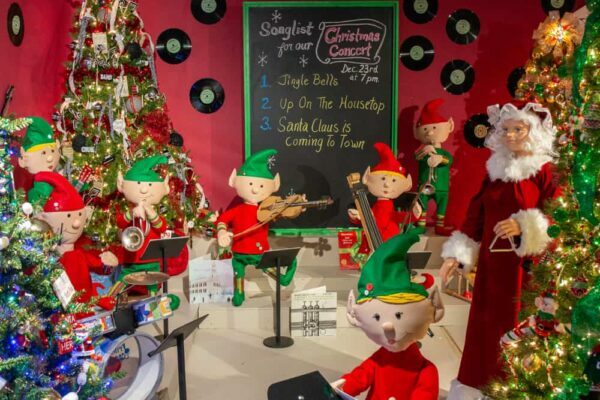 After walking through this festive area, you’ll exit towards the back of the store, which ensures you have plenty of chances to see the store’s wares before you leave. What I loved most about the holiday displays was how they showed both whimsical and classic Christmas scenes spread amongst the nine different display areas. 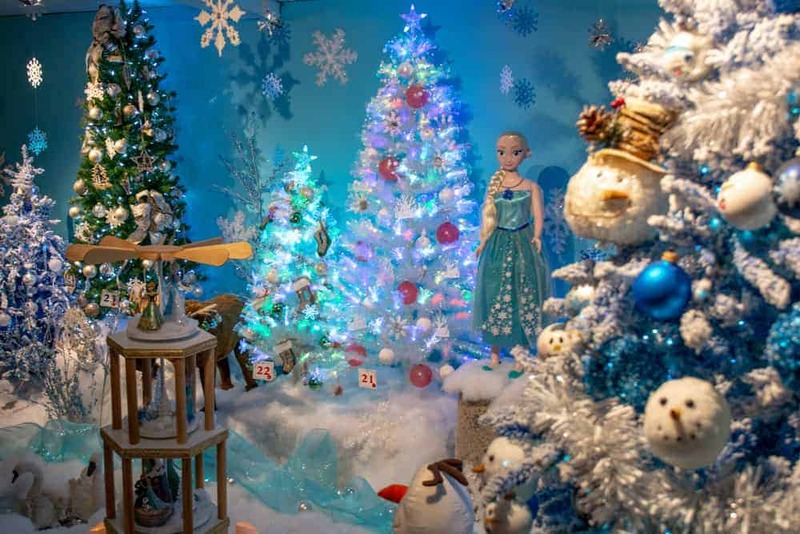 In 2018, displays included pop culture references such as “Frozen” and “How the Grinch Stole Christmas.” There were also scenes from Santa’s workshop and a myriad of beautifully decorated Christmas trees. 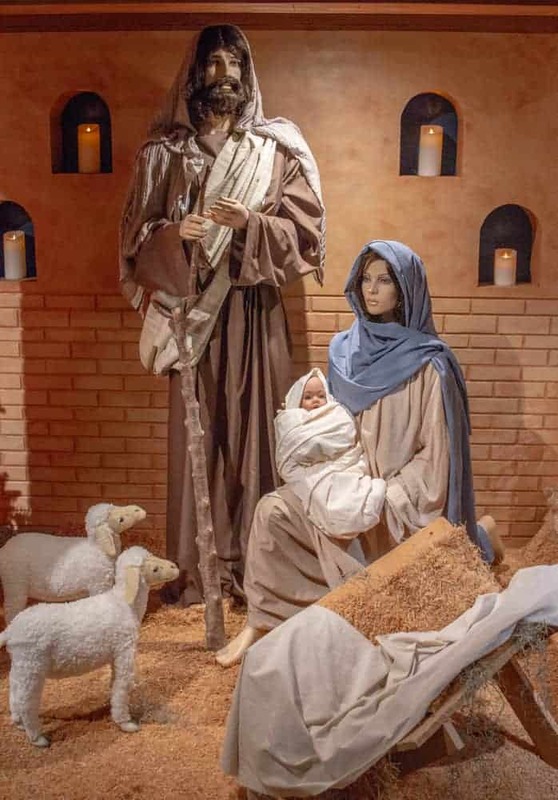 The final display area was a manger scene with life-size characters. The displays include reference to pop culture. Christmas at Kraynak’s is very popular. I arrived in the late morning on a weekday before Thanksgiving, and there was a line through the entire display area and several tour buses at the store. Because of this, I’d imagine that weekends, especially during the holiday season, are quite busy, and you might have to wait to get into the display area. 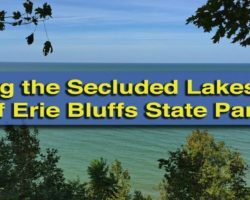 Because of this, I recommend visiting early in the season or on a weekday if possible. The display at Kraynak’s includes more classic holiday scenes such as a life-size nativity set. 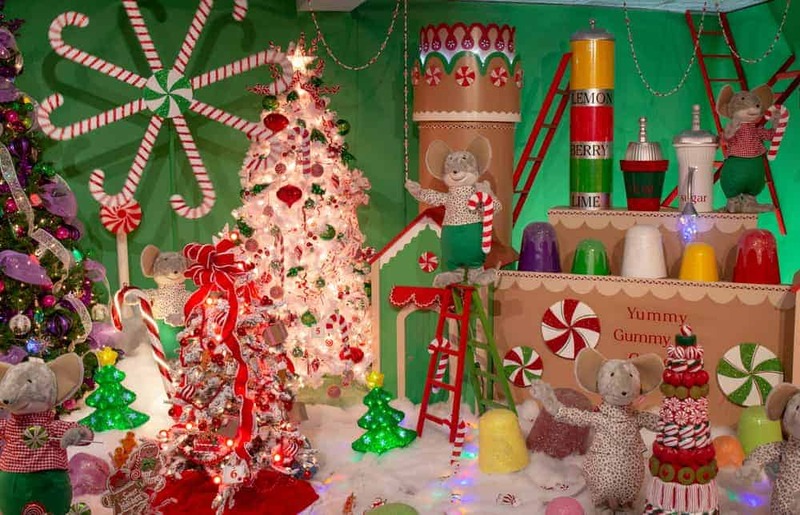 Putting the length of the line aside, Kraynak’s Christmas display is the type of attraction you could breeze through in a couple of minutes or spend several hours at looking at the details of all of the displays. Because it’s in a long hallway, you are, to a certain extent, at the mercy of those in front of you as far as how quickly you move. 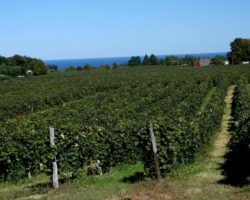 However, there’s enough detail in each of the display areas that you’ll have a great time even if you have to move slowly. In addition to the main display area, Kraynak’s also features close to a hundred different artificial trees and other unique holiday decorations for sale throughout the store. Even walking through the regular showroom of the store is a special treat and quite beautiful. For those looking for even more festive fun, Santa sets up shop at Kraynak’s during the holiday season. Visits with Santa are free, though there is a cost if you’d like a photo. The displays include moving parts such as a model train set. Overall, I really enjoyed my visit to Kraynak’s Christmas display. Having heard so much about it, it was great to finally see it in person, and I must admit that it lived up to the hype of being one of the best Christmas displays in PA. 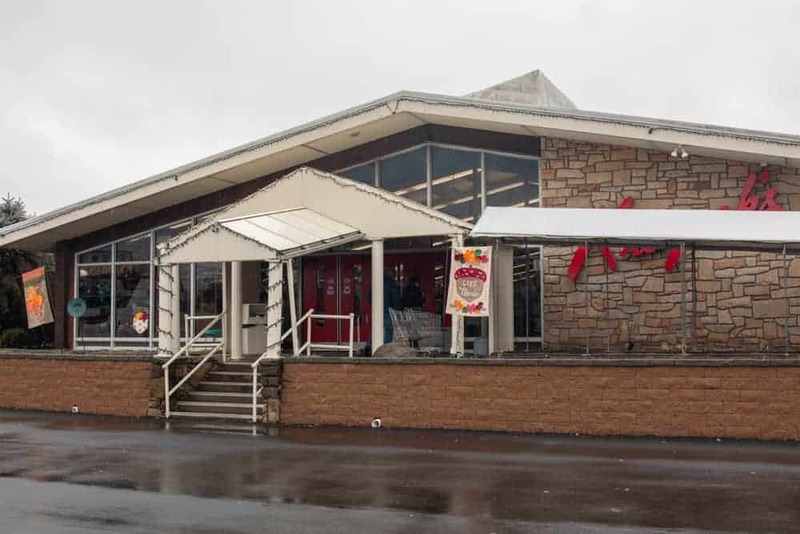 If you are looking for something great to do during Christmastime in western Pennsylvania, I highly recommend a visit to Kraynak’s. 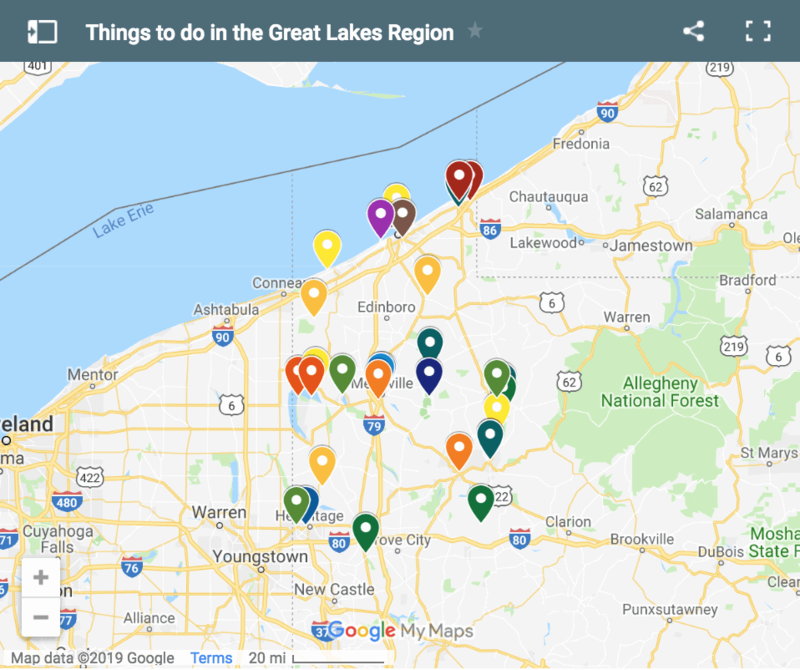 Looking for more great things to do in the area? 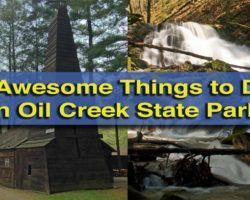 Check out Daffin’s Chocolate Kingdom, Springfield Falls, the only covered bridge in Mercer County, and McConnells Mill State Park.